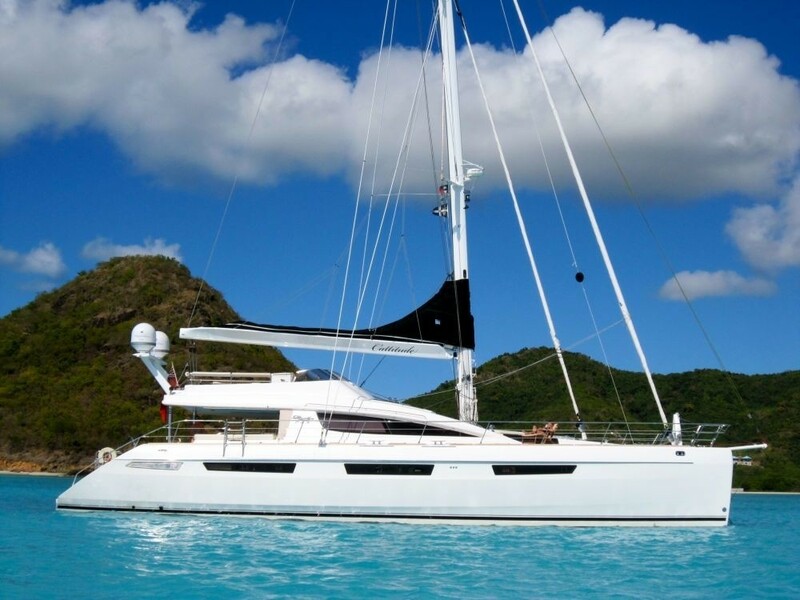 Designed by Marc Lombard, the well renowned French shipyard Alliaura Marine built the 22.8m (75ft) Privilege 74.5 catamaran CATTITUDE in 2012. 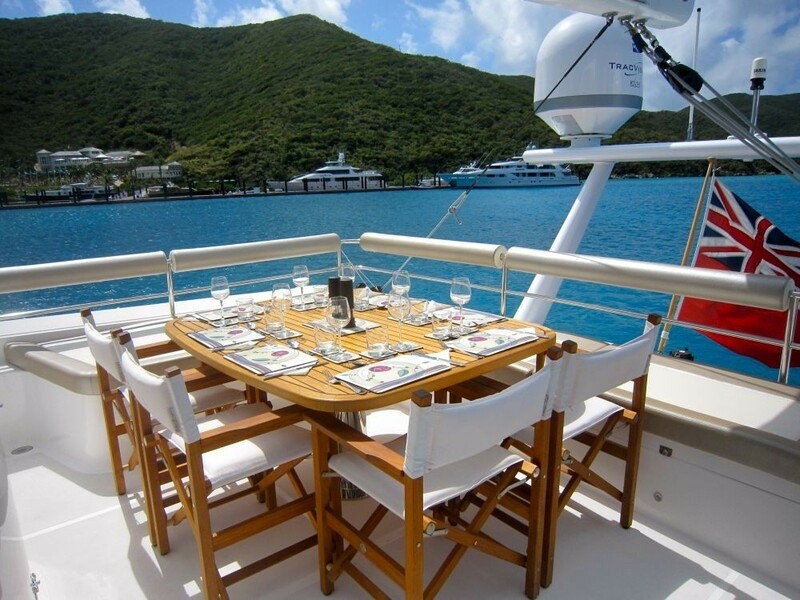 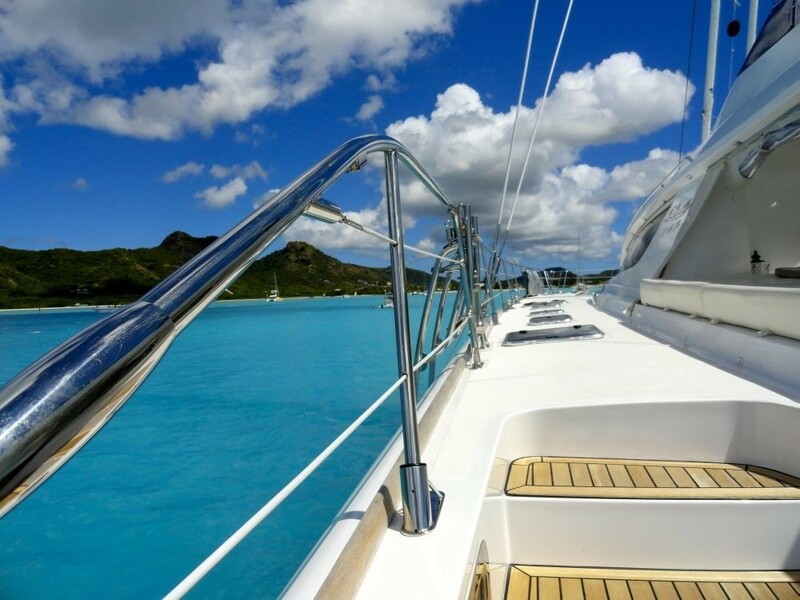 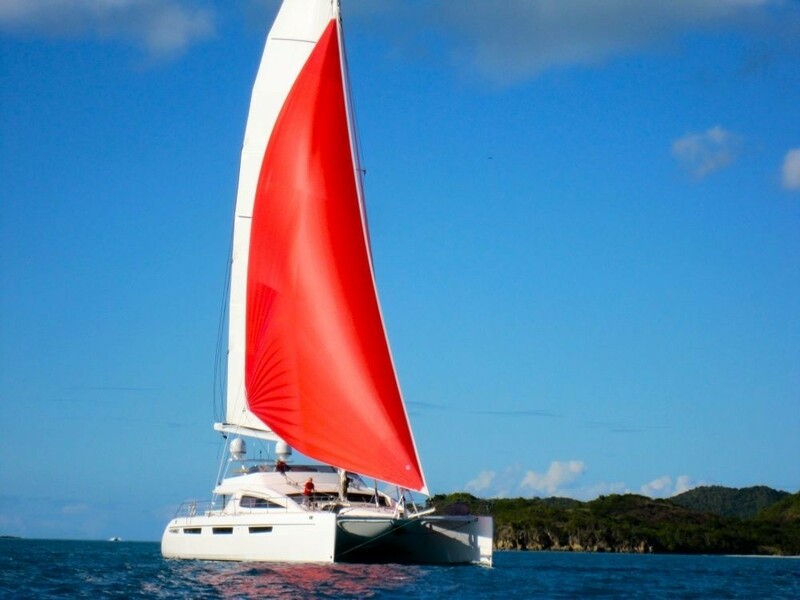 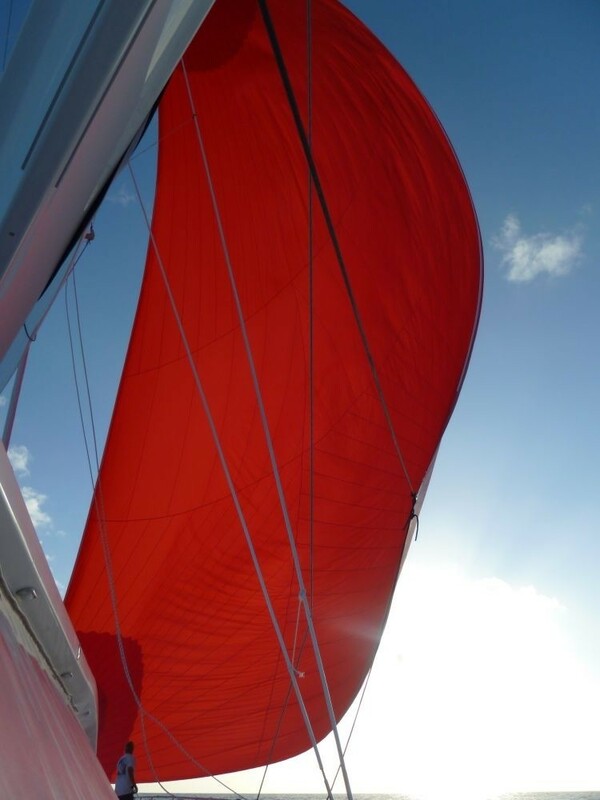 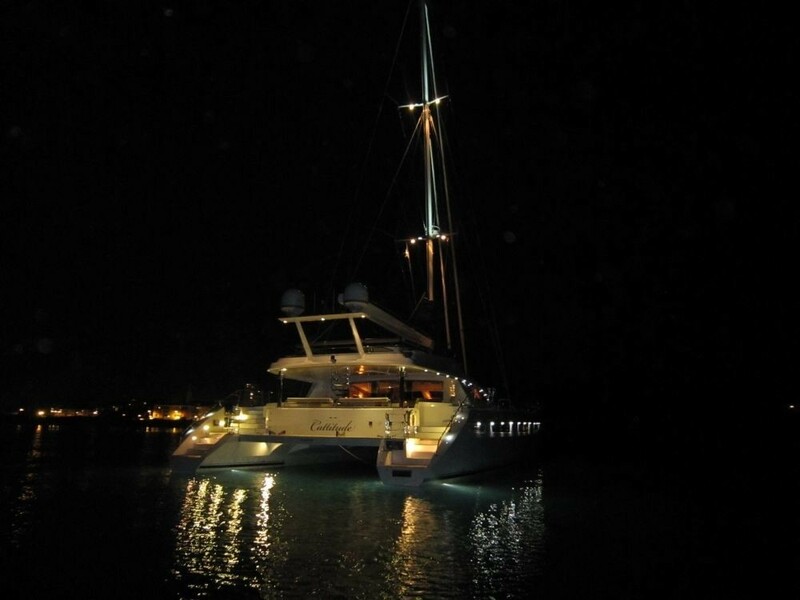 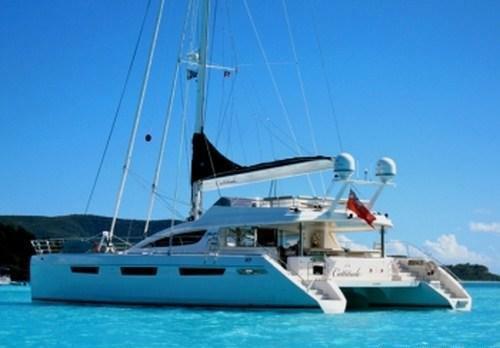 Crewed sailing catamaran CATTITUDE offers luxury charters for up to 8 guests. 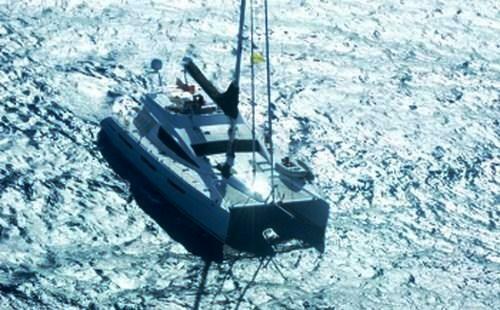 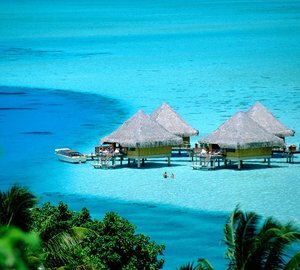 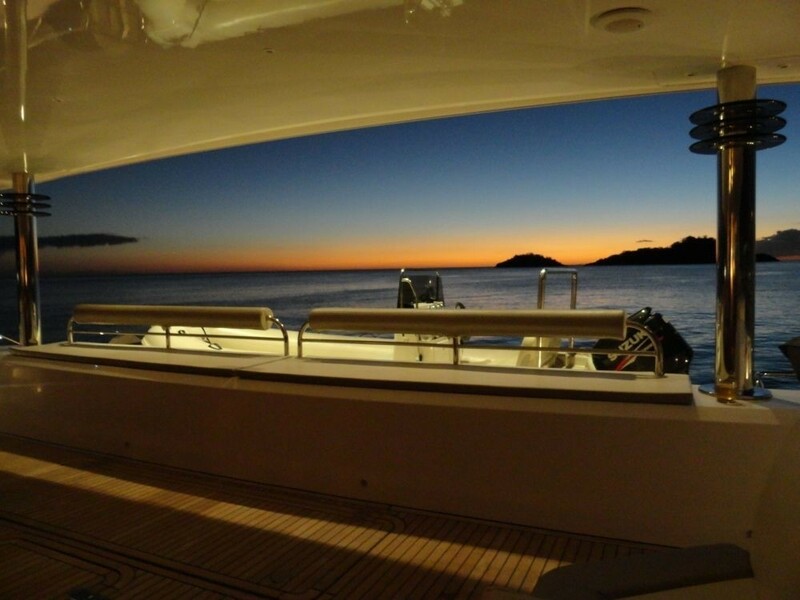 The yacht is available between Central America and the South Pacific. 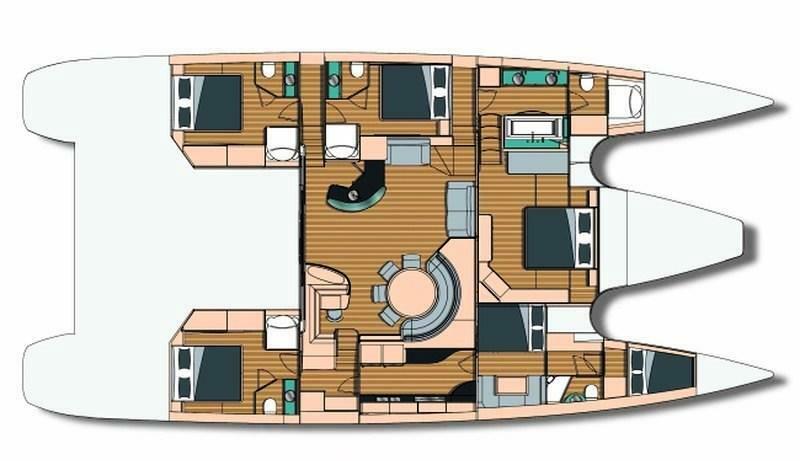 Charter yacht CATTITUDE has a spacious light interior thanks to the wide 10.8m (35.7ft) beam and ample hatches and ports. 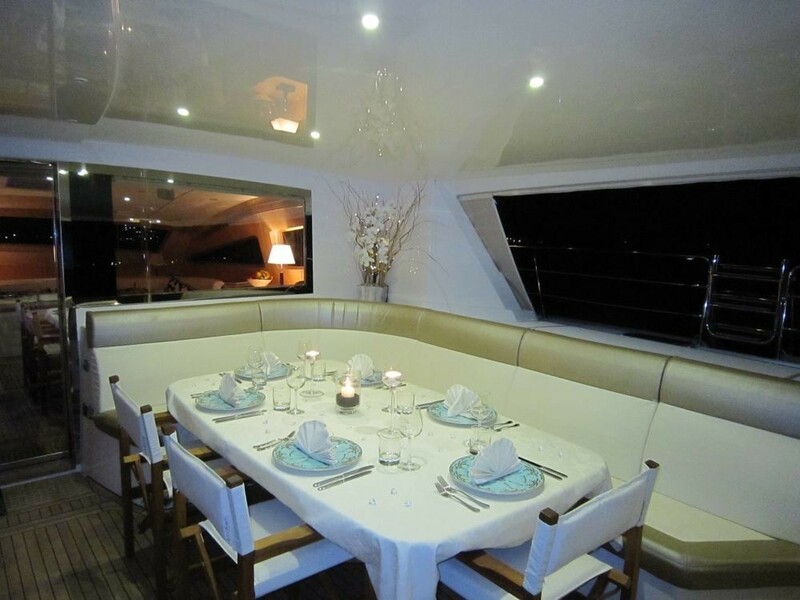 The salon and dining are an open plan offering plenty of comfortable seating, audio and visual entertainment and an elegant glass topped wet bar, all set upon a rich espresso toned wood floors, balanced harmoniously with beach wood toned panels. 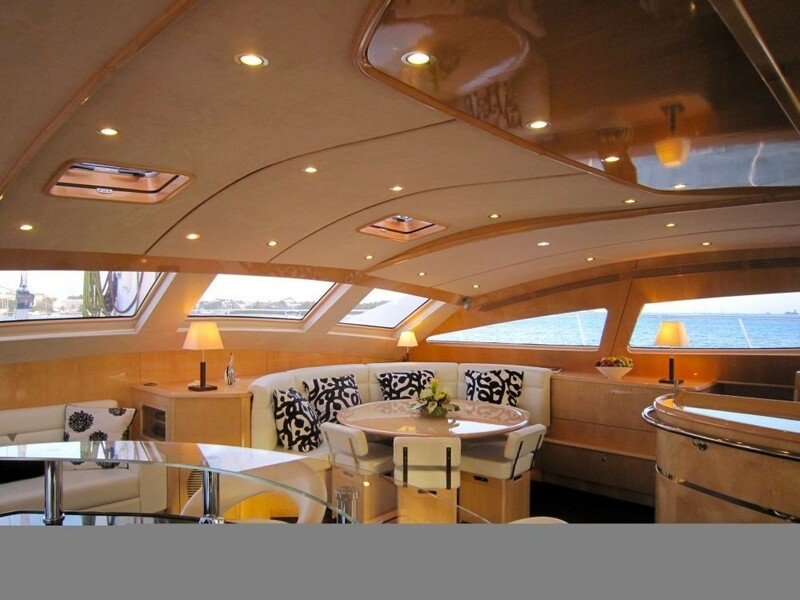 CATTITUDE’s salon boasts wide sliding glass doors that casually flow into the massive shaded cockpit, complete with alfresco dining and plenty of areas to relax, creating a truly social ambiance. 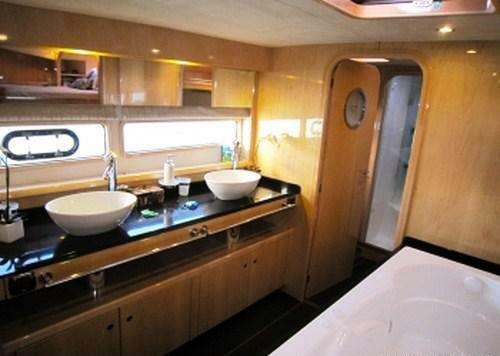 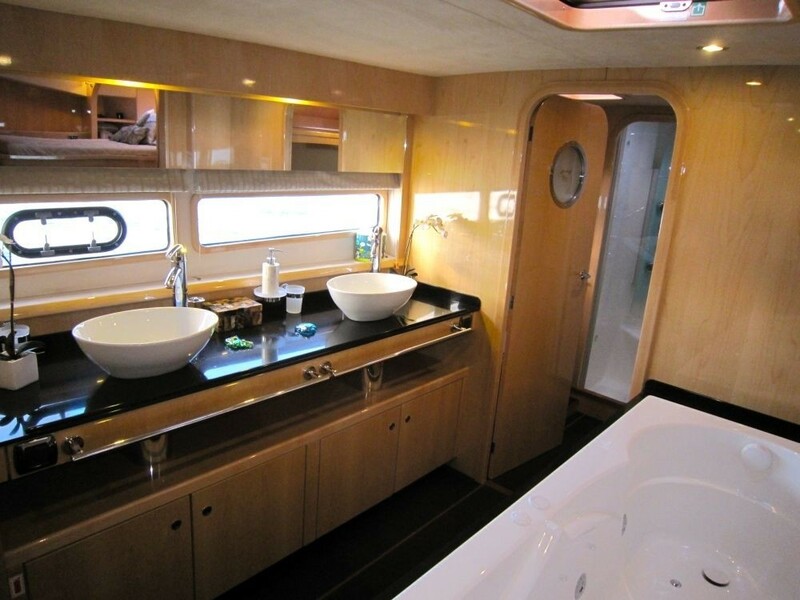 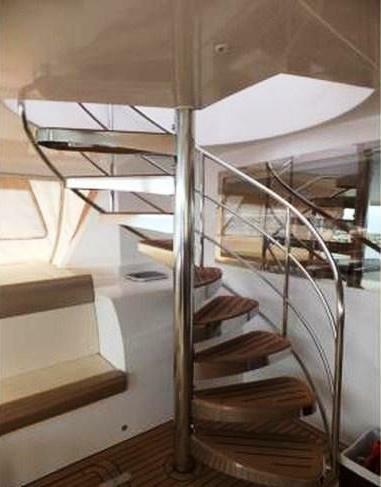 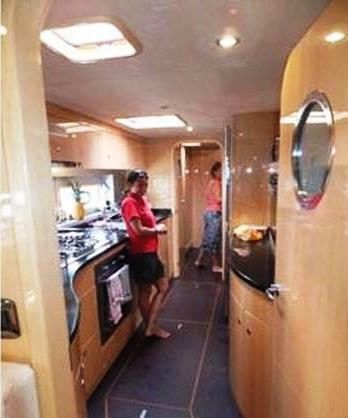 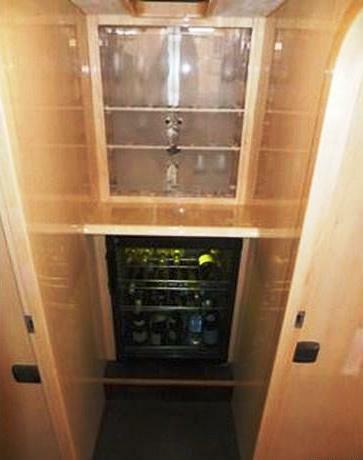 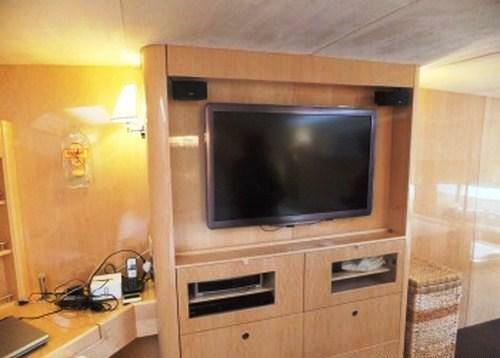 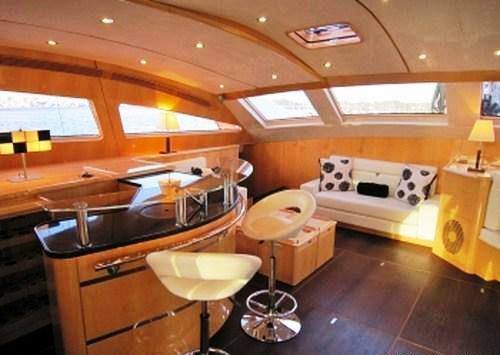 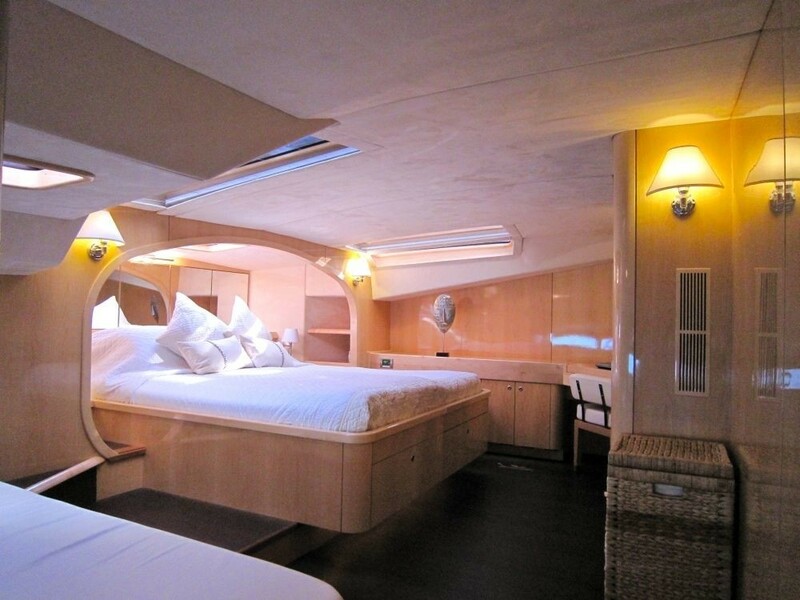 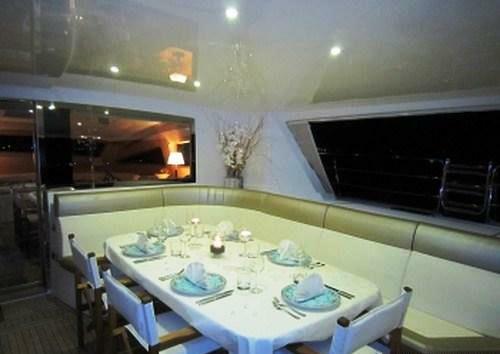 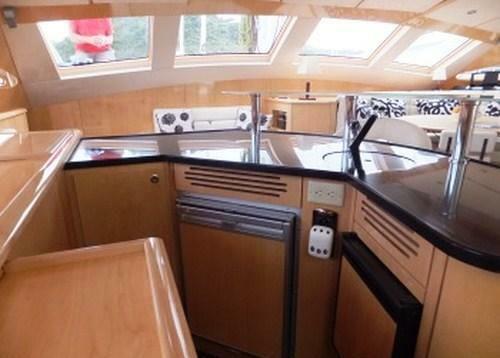 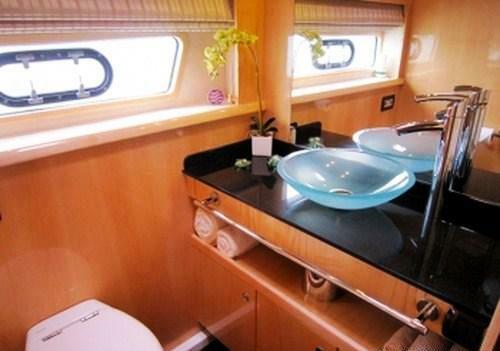 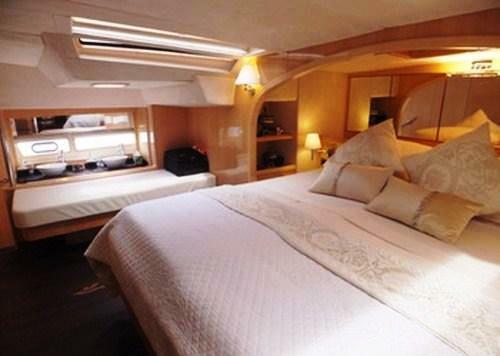 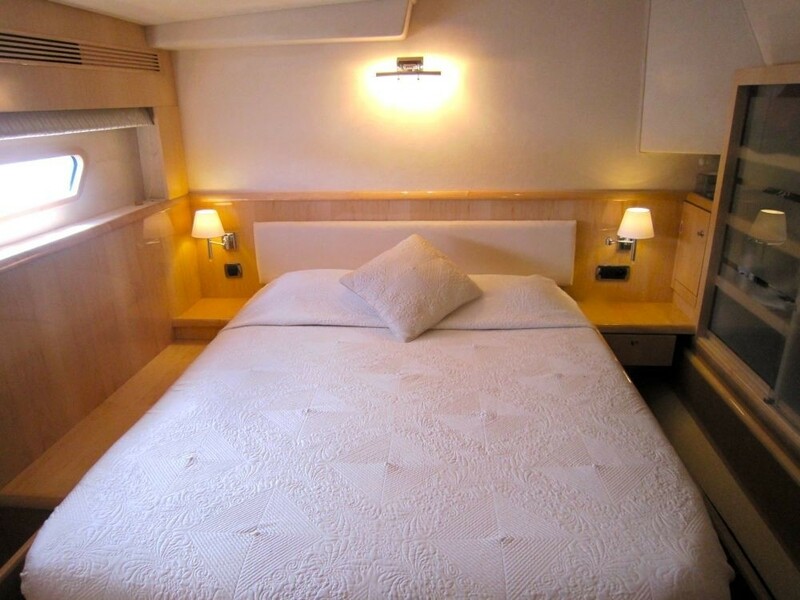 S/Y CATTITUDE features loads of external living space. 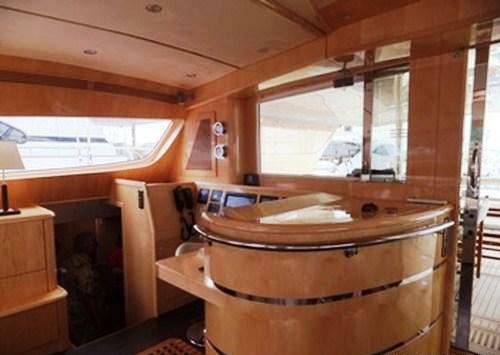 Above the main cockpit, teak stairs lead to the generous flybridge with a further alfresco dining area, seating and sunning space. 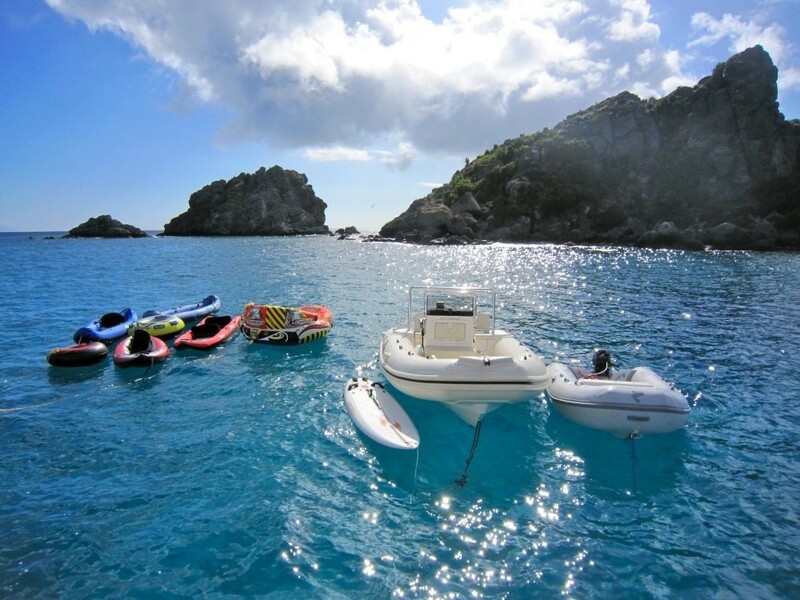 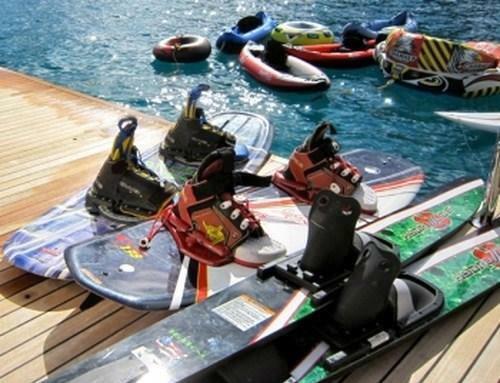 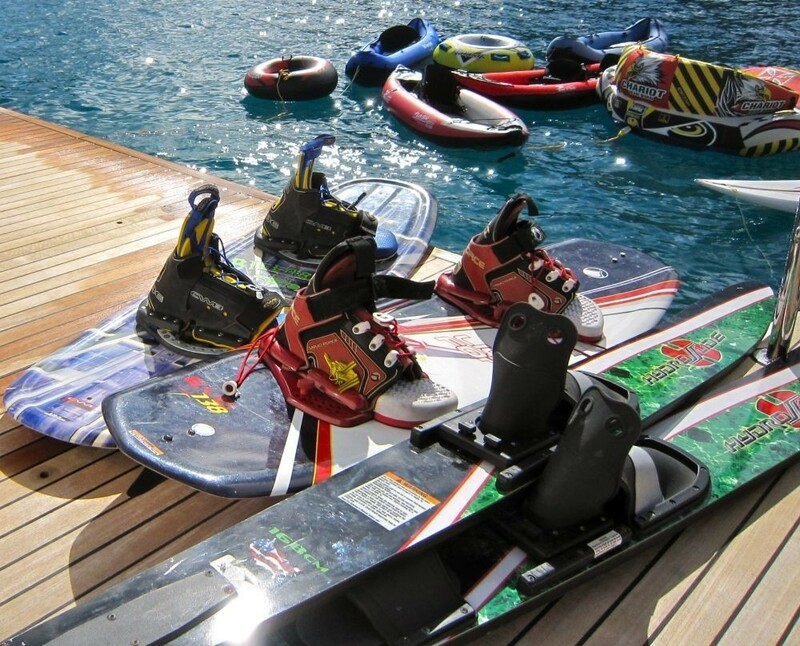 For the active in the group, a good array of water toys will be invitingly effortless from the dual transoms and raised teak beach, also ideal for the sun worshipers. 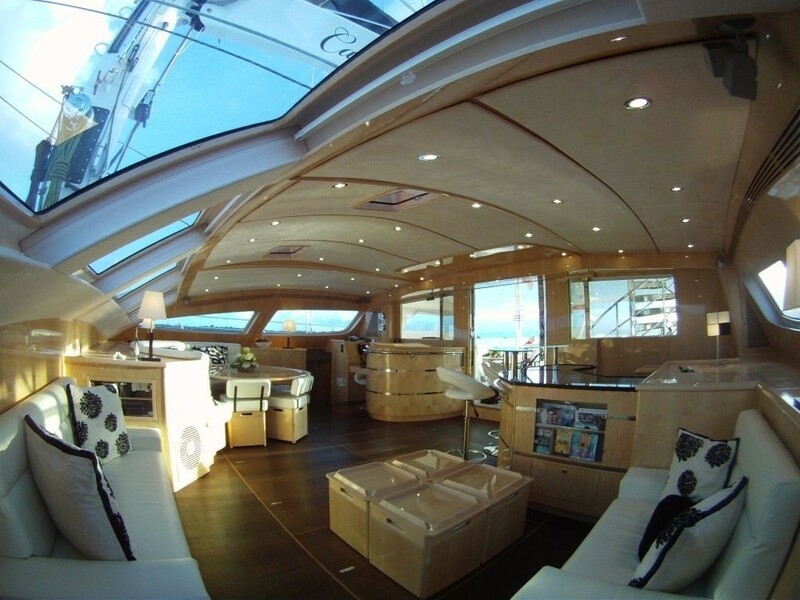 Additional sunning space is available on the expansive foredeck and 2 large safety trampolines. 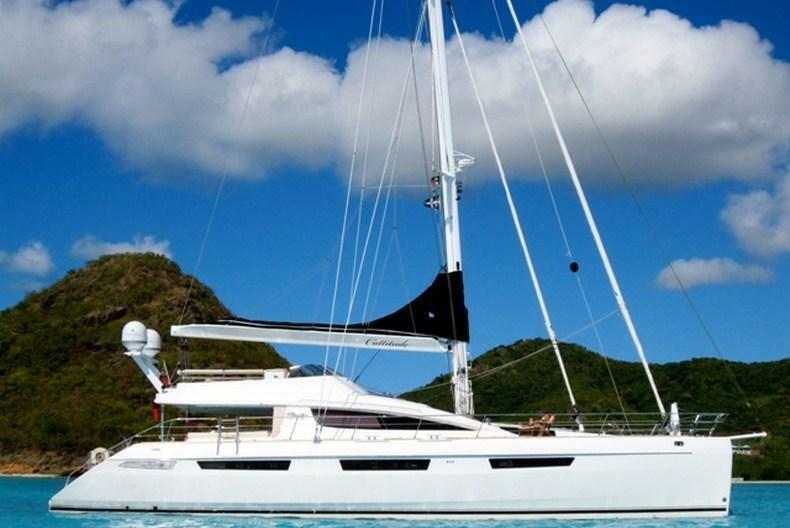 Sailing yacht CATTITUDE is available with a professional crew of 4, to ensure a relaxed and unforgettable yachting experience. 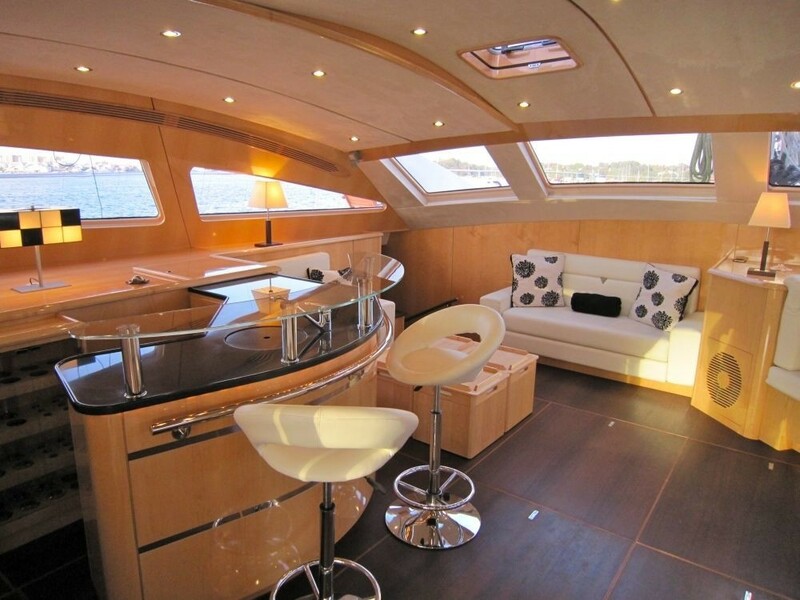 She is the perfect choice for any group configuration, offering an abundance of space and great indoor and outdoor amenities. 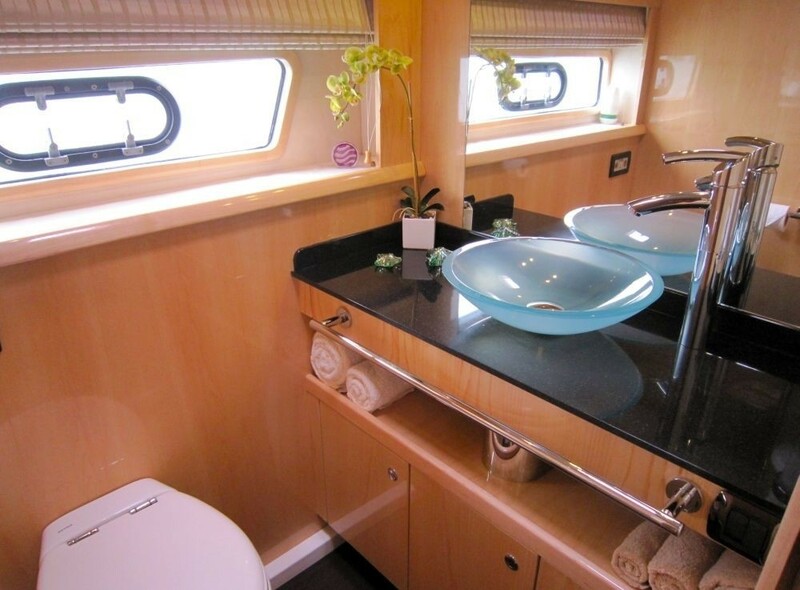 Luxury charter yacht CATTITUDE offers deluxe accommodation for up to 8 charter guests in 4 en-suite double cabins. 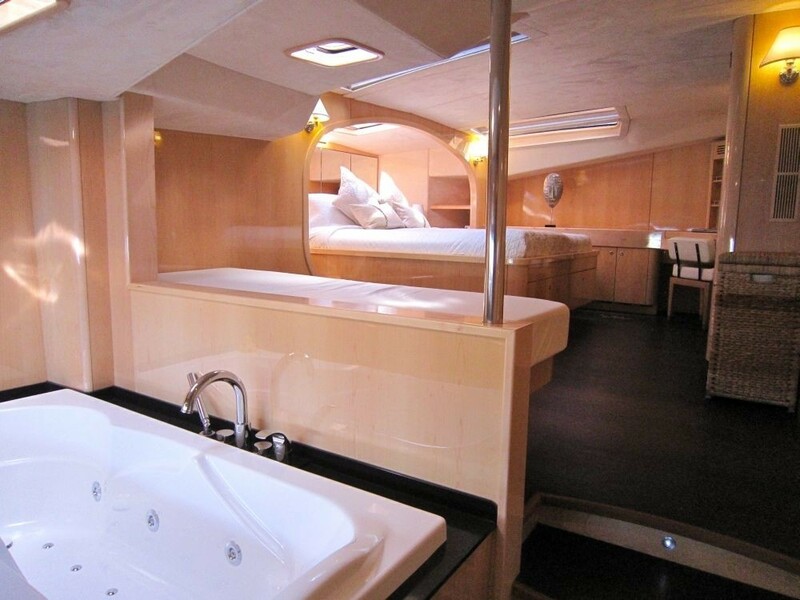 The master suite is forward offering a center lined king size bed, sofa, vanity/desk and en-suite with his and hers sinks plus Spa Pool tub. 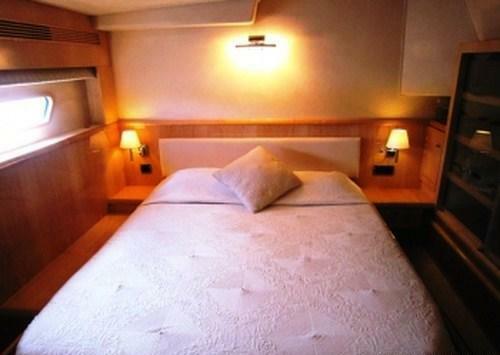 A further 3 cabins have queen size beds. 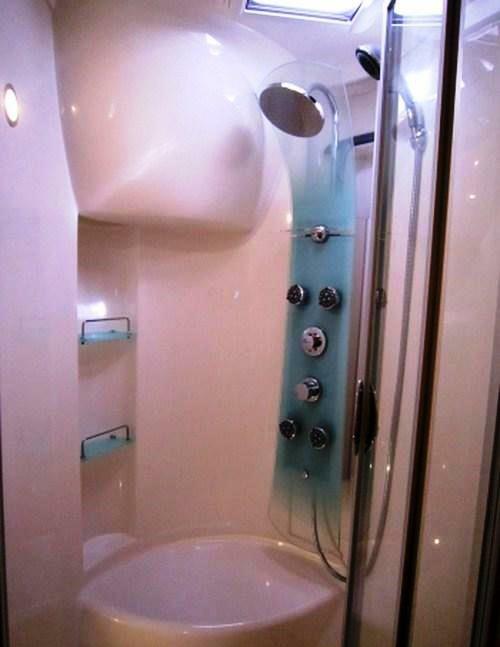 All 4 cabins boast large shower rooms with massage shower units, TV entertainment and ample natural light. 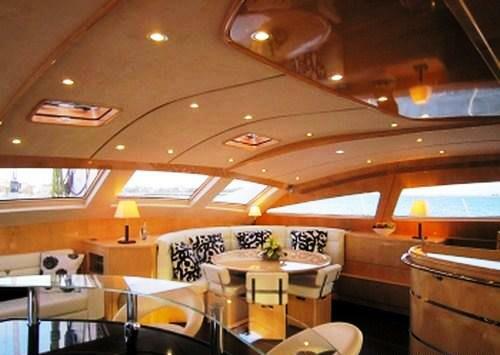 Yacht CATTITUDE is fully air conditioned throughout. 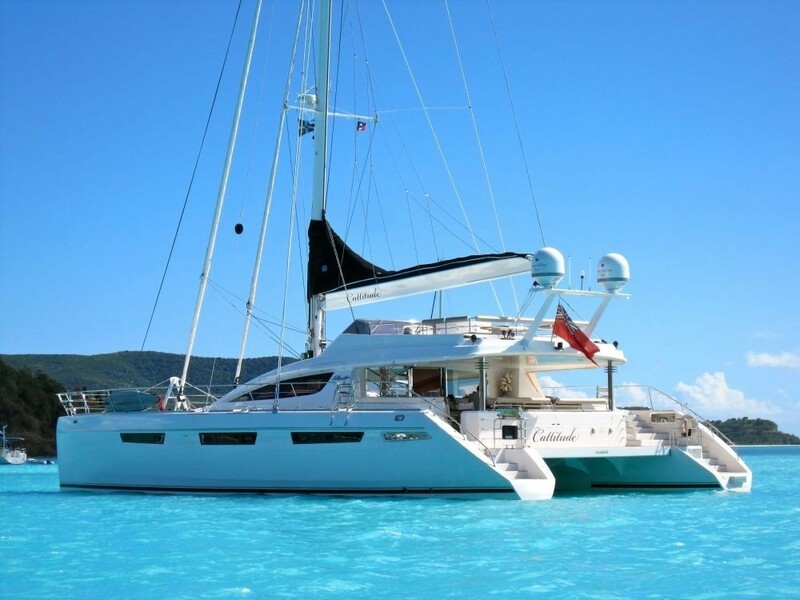 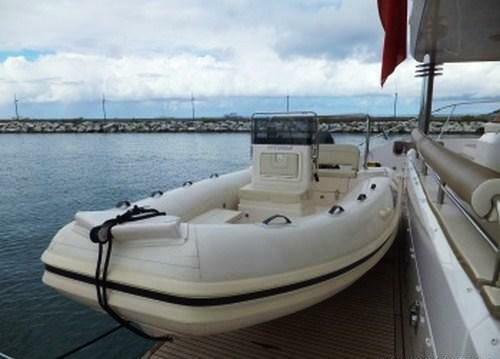 The CATTITUDE catamaran has a Tender 60hp engine, Water skis, Wak board, 4 x Kayak, Snorkel gear, Fishing equipment, Stand up paddle boards x 2, Water maker, TV/DVD/SAT TV, WIFI, Ipod hook up, Bose sound system, Ice maker, hairdryers, 110/220 volt, BBQ, Rendezvous diving.